The Evgie giveaways are always popular so we have another one here for the holidays. Awesome non-toy gift idea for kids to turn their room into an adventure. 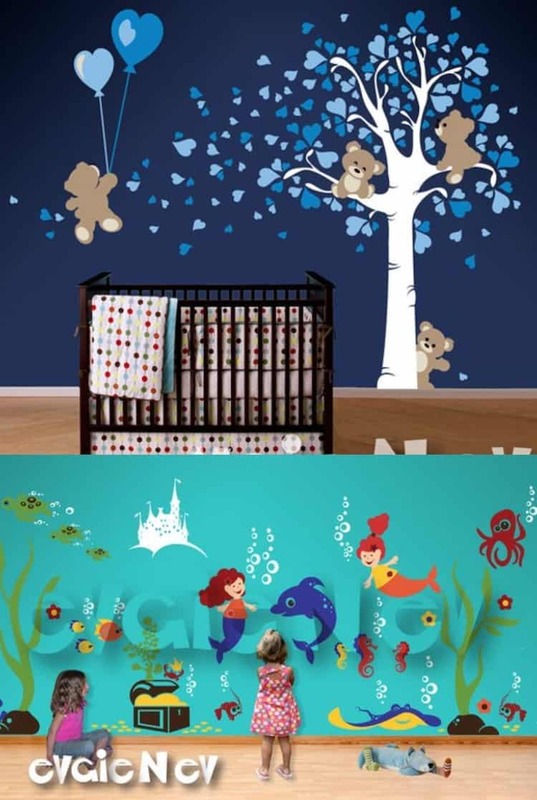 Wall decals are the best way to decorate a new nursery or even a child’s room. You can create a beautiful and happy scene in a room that you will spend many hours in with your child. It’s the best way to decorate a nursery or child’s bedroom. EvgieNev makes removable sticker that are made using top-quality matte vinyl. They are perfect to decorate and add your personal touch to any space or switch themes in child’s room. Just peel and stick, it’s so easy! Included FREE test decal. Inspired by Valentine Day and one of the most popular Winnie-the-Pooh like Teddy Bears features 5 cute teddy bears sitting on the tree and branch, flying on balloon with color combination of pinks for baby girls and blues for baby boys. You can pick also pick out any other colors from their color chart. Mind-blowing Outer Space wall decals theme features a custom flag name with space-walking astronauts, spaceship, aliens, asteroids and dots to create constellations. The elements come separately and can be arrange any way you’d like. 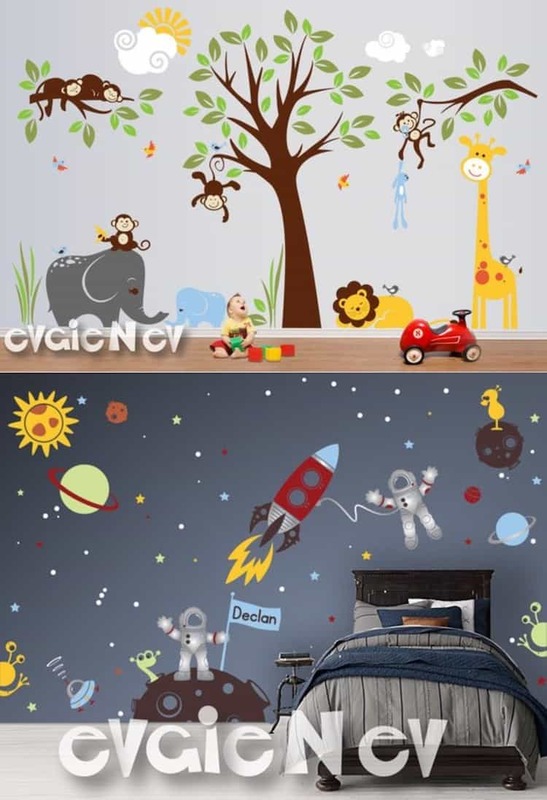 This Jungle Safari wall decals from their collection of nursery wall decals and baby wall decals theme is very popular. It includes 5 Monkeys a giraffe, a sleeping lion, elephant, a baby elephant, birds and more! Their decals get great feedback from their customers. And their customers come back and buy again! They have 621 reviews with a 5 star rating! This giveaway ends on November 20 1159pm EST. Blogger is not responsible to fulfill the prize. It could take up to 12 weeks for the prize to be fulfilled. I might get the Family Tree Wall Decal – Picture Frame Wall Decals – Wall Decals Living Room – TRFMLY020.